you KNEW I had to buy this one, didn't you ... ? 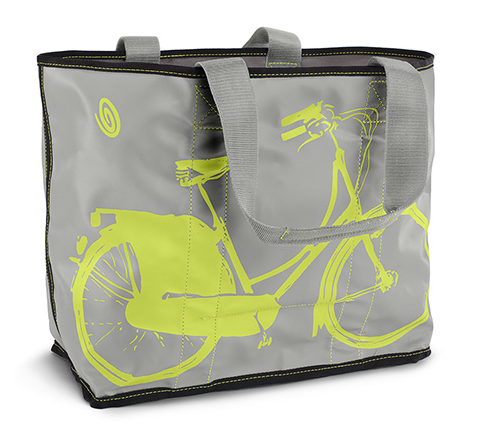 Very nice tote – bought primarily for the bicycle design. Like that it is reversible. Only reason I did not give it 5 stars is that color of the bike design does not “pop” quite as much as expected (or as the photos show) – I bought the citron/grey. Aside from that, very nice bag – wide opening, sturdy comfortable straps, heavy duty for carrying weighty items, and waterproof!